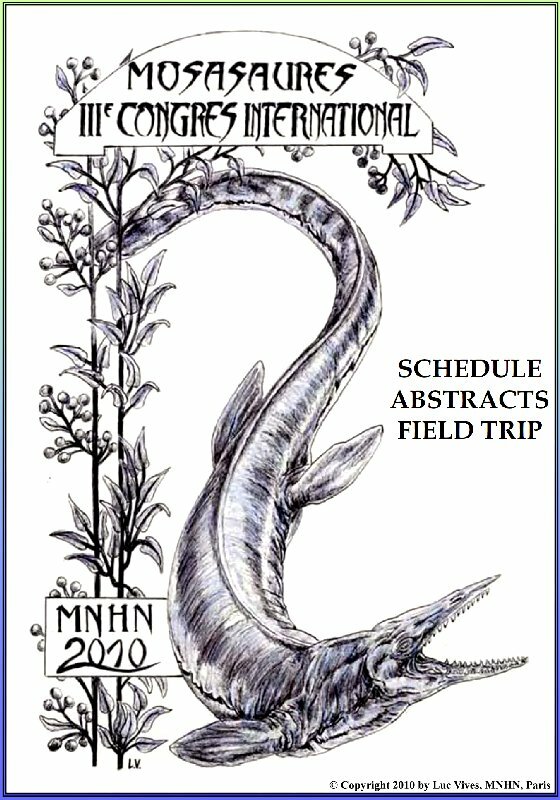 The Third Mosasaur Meeting took place at the Muséum National dHistoire Naturelle of Paris (France) from May, 18th to 22nd 2010. 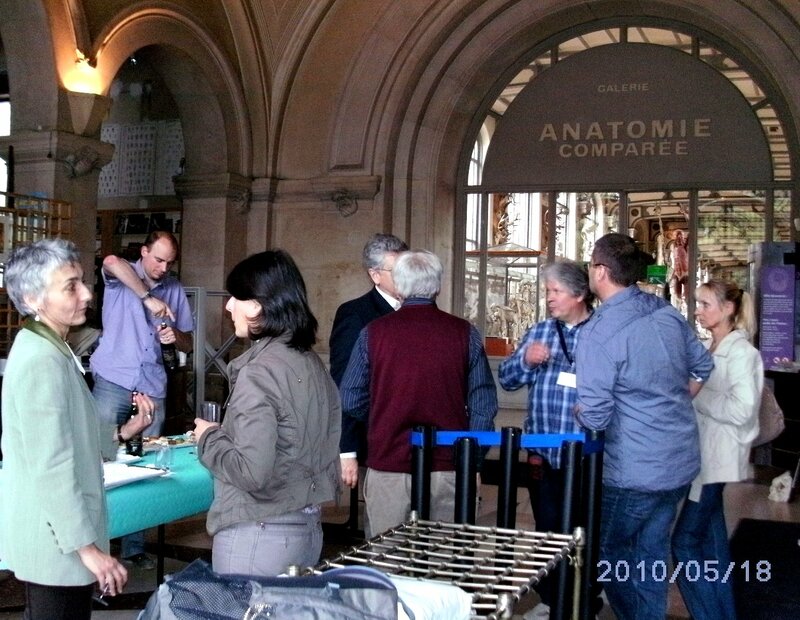 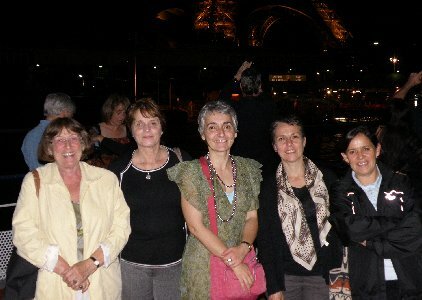 Hosted by Nathalie Bardet, it was a event jointly organised by the Département Histoire de la Terre / UMR 7207 of the CNRS, the Département des Galeries and the Direction des Collections of this Institution. 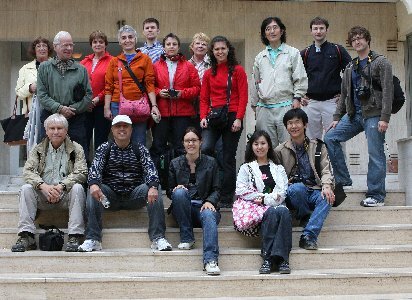 About 30 participants, coming from several countries of Europe, North and South Americas, and Japan were present. On Tuesday 18th morning, the mosasaurid collections were available for study for those interested. 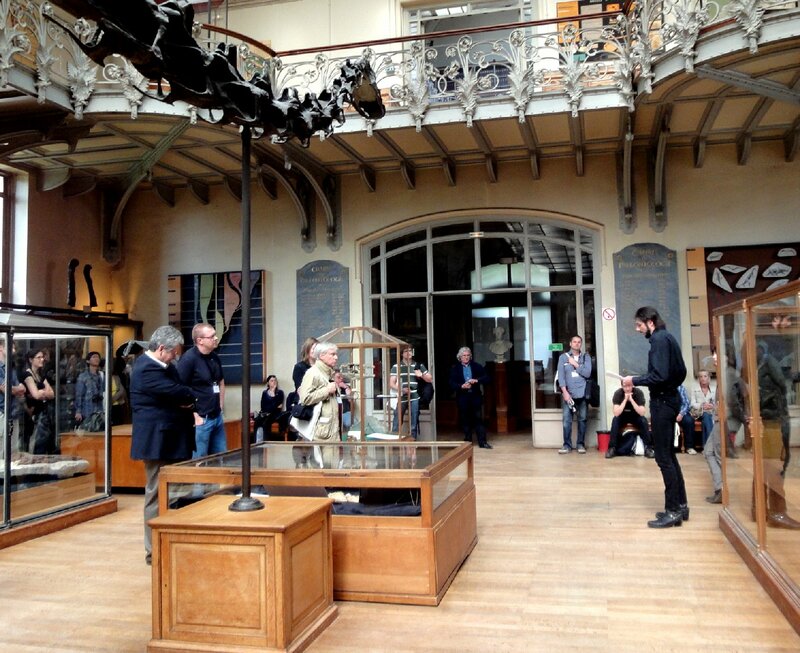 This was followed in the afternoon by a visit to the Galerie de Paléontologie by Luc Vives and Cécile Colin (Département des Galeries). 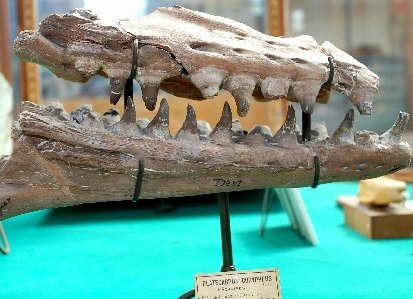 The visit was especially focused on the mosasaurid collections, especially those restored and newly presented for the occasion. 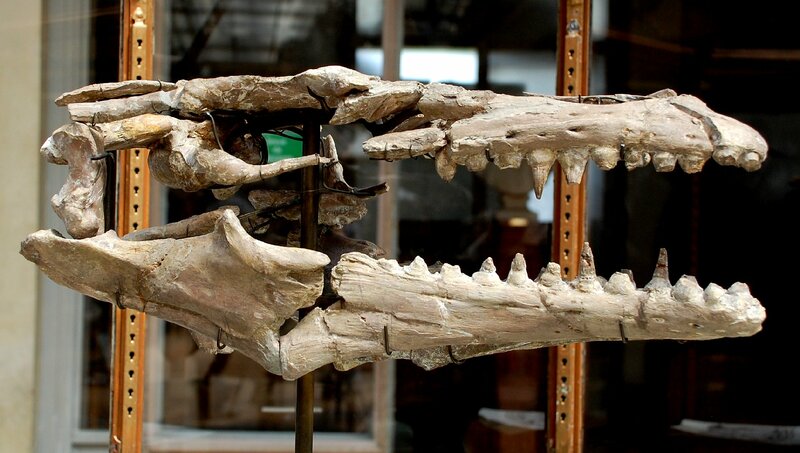 More than just the type of Mosasaurus hoffmanni first described by Cuvier in 1808 as the Grand Animal Fossile des Carrières de Maëstricht, the exhibition also includes all the types and specimens described in France (Leiodon compressidens, Leiodon mosasauroides, Mosasaurus gaudryi and Platecarpus somenensis), some types of Morocco (Halisaurus arambourgi, Tethysaurus nopcsai, Platecarpus (?) 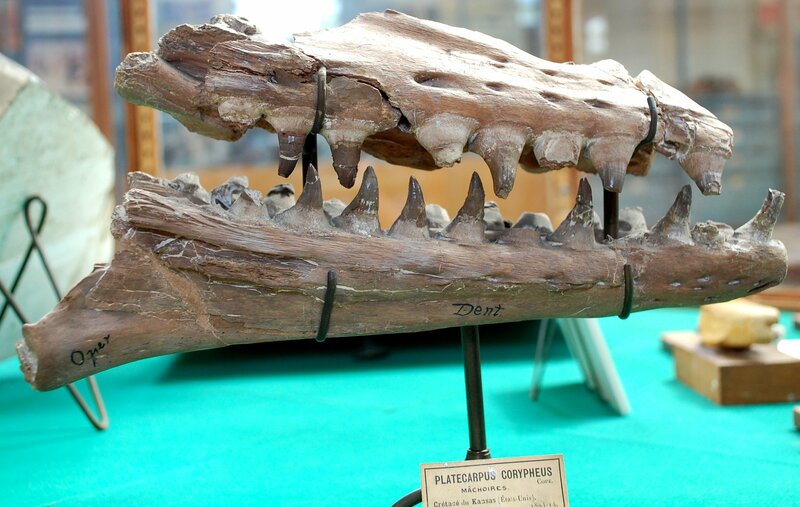 ptychodon, Mosasaurus beaugei) and specimens from the Kansas Chalk (Platecarpus coryphaeus, Tylosaurus). 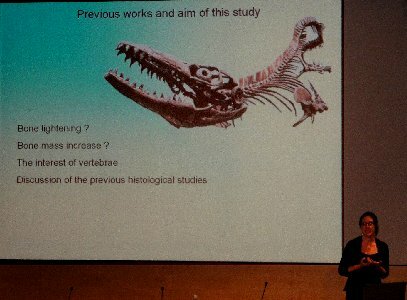 From Wednesday 19th to Friday 21st occurred the scientific sessions where 23 oral communications were presented, dealing with different aspects related to mosasaurids, such as their definition, historical and curatorial approaches (Paris, Maastricht, Eben), adaptations to aquatic life (Plotosaurus), dental replacement and microstructure (Mosasaurus), exceptional preservation of soft tissue (Platecarpus), histological and morphofunctional studies (based on axial skeleton (mosasauroids, Varanus), description of new material (Prognathodon, Halisaurus, Carinodens, etc. 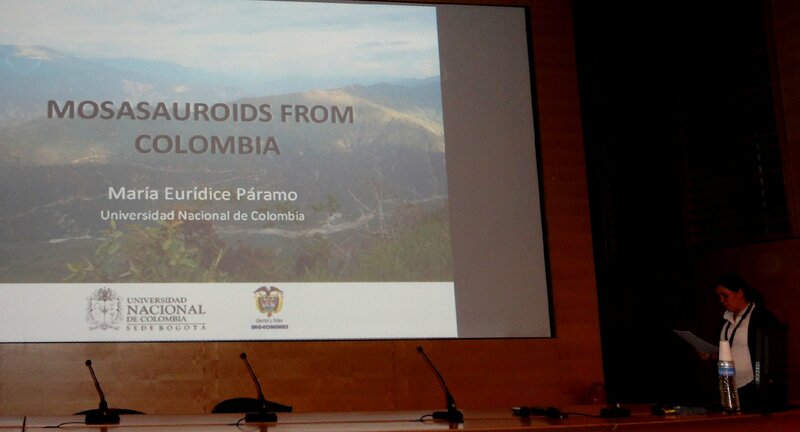 ), faunas in their palaeobiogeographical context, aspects related to the K/T boundary, etc. 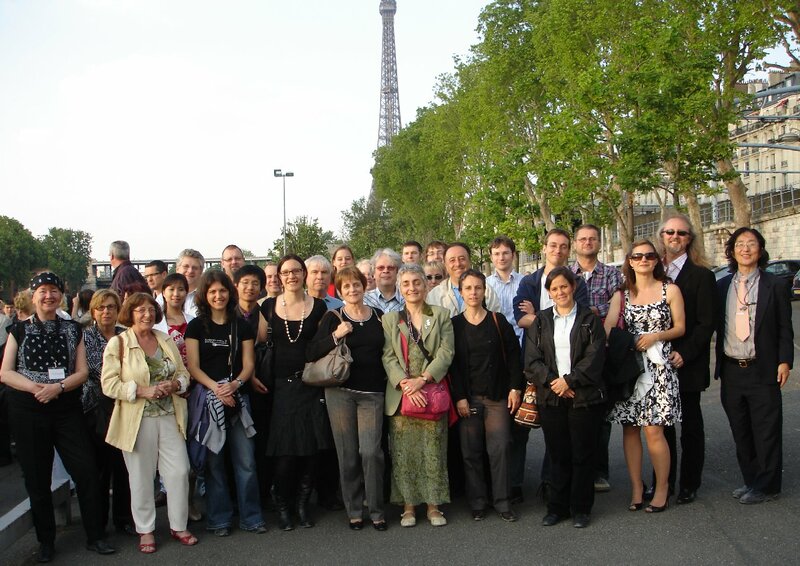 The Symposium Dinner took place on Friday, May 21st, including a 2 hour cruise along the Seine River on the famous Paris Bateaux-Mouches. 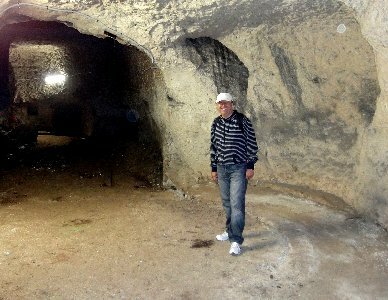 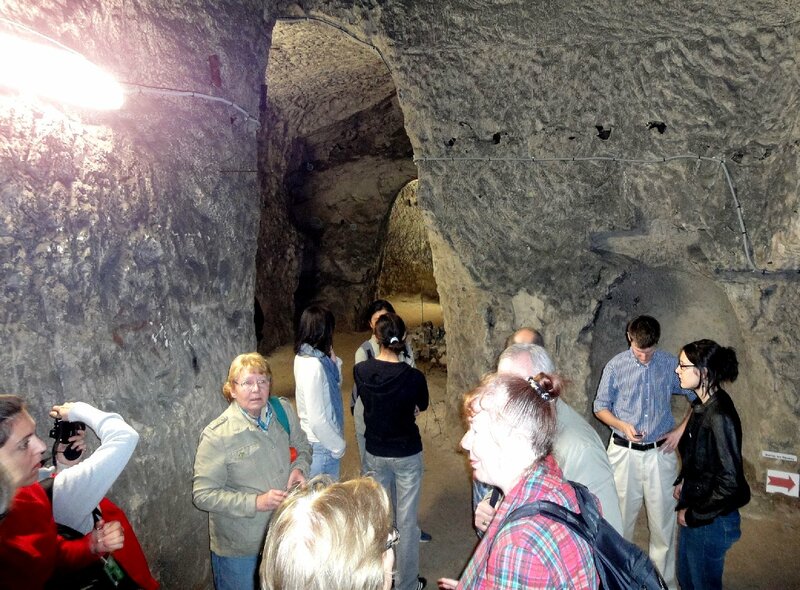 The Meeting ended on Saturday, 22nd with a field trip in the southwest suburb of Paris and a visit to the Meudon underground quarries of Upper Campanian Chalk. 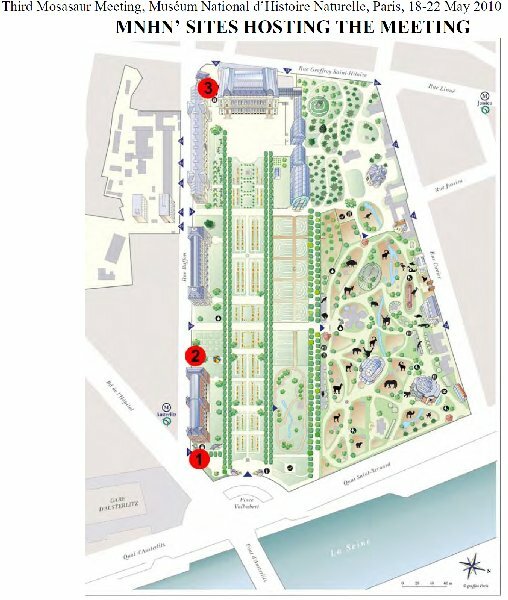 The Meudon Chalk is exploited for economical purposes since at least the 18th century for the process of the White of Paris (also called White of Spain), an industrial and decorative product. 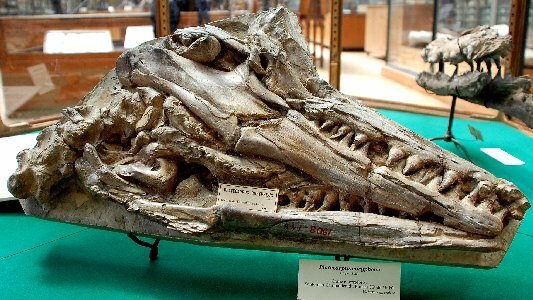 The main interest of this chalk is the occurrence of numerous invertebrate fossils as well as that of scarce vertebrate ones, namely selachian and mosasaurid teeth. 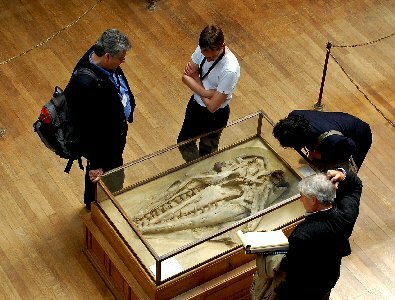 This material is of historical interest as some of the specimens were described by Cuvier, Gervais and Gaudry. 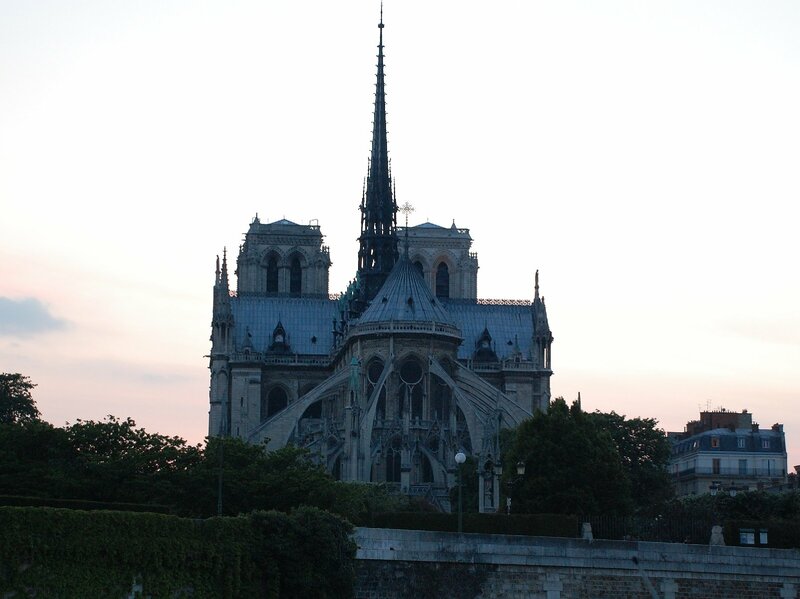 The proceedings of the Meeting will appear in a special volume of the Bulletin de la Société Géologique de France (the deadline for manuscript submission was July, 15th). (1) Palaeontological Building (Entry for Public, 2 Place Valhubert): Registration / Mosasaur exhibition visit / Ice-Breaker Party on May, 18th. 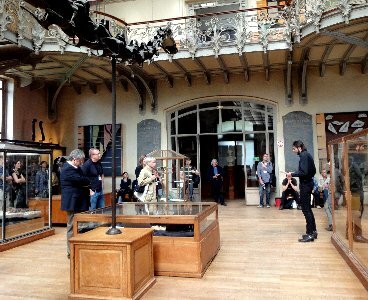 (2) Palaeontological Building (Entry for Researchers, 8 rue Buffon): meeting point for those who plan to study the collections on May, 18th. 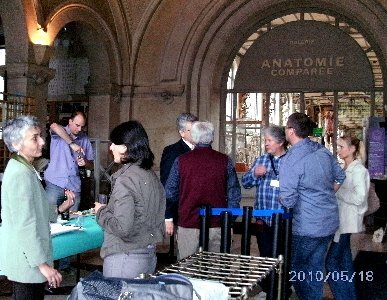 (3) Auditorium of the Grande Galerie de lEvolution (36, rue Geoffroy-Saint-Hilaire): Scientific Sessions May, 19th to 21st. RIGHT: Before the Symposium Dinner - Bateaux-Mouches departure picture. Second Mosasaur Meeting - Hays, Kansas, U.S.A.